Bachelor in Informatics Engineering is a well-trained engineer, with developing of wide range computer systems. Graduates will be able to solve practical and theoretical computer science-related problems and prepared to continue in master’s degree studies either in Lithuania or abroad. They are knowledgeable about engineering systems, automation, robotics, data basis development processes, special programming installations as well as mathematical modelling and programme systems for automation and digitalization in industrial and business systems. *During their studies, students must select a specialisation. The specialisation is implemented if a group consists of at least 8 students. Graduates have the knowledge of analogue and digital electronics, digital circuit design (using NI ELVIS), basics of logics, discrete mathematics, automation theory, statistical data analysis, graphical 3D process modelling, virtual engineering, database engineering, design and programming of computer networks and Internet services, Java technology, remote automated control system modelling and design, and artificial intelligence. During the studies, laboratory works are carried out in modern laboratories equipped with National Instruments LabVIEW, Multisim, NI Elvis II+, Compact RIO, NI PXI modules, Tetcos NetSim networks simulation and emulation software, PXI based WLAN test and RF record and playback system including powerful signal generators and analyzers, ARM and AVR microcontrollers, FPGA boards, DSP boards, HMI equipment, digital cameras, Cisco networking system, Siemens and Festo PLC training stations, Matlab, Microsoft Visual Studio .NET, MagicDraw and other software products. 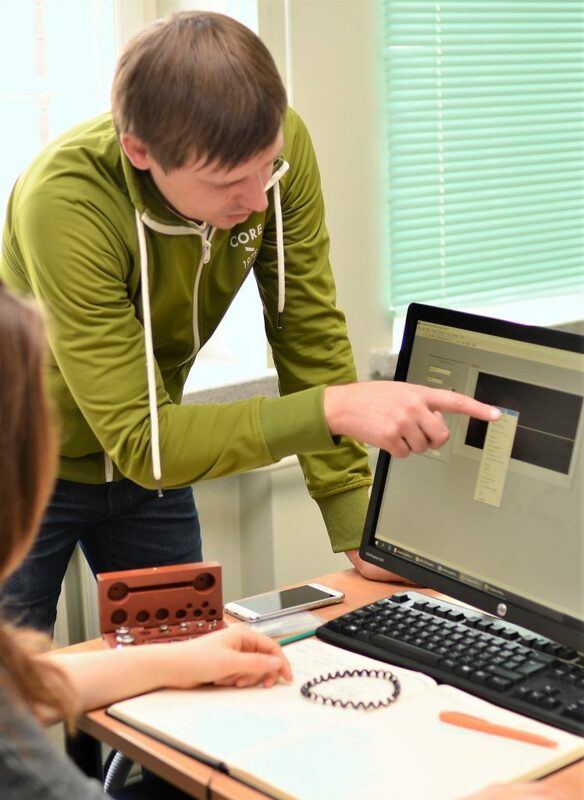 According to the client’s specification, graduates will be able to design and completely install computer systems, provide hardware and software support, integrate computer systems and communication technologies for mobile computing development, carry out various system control installations, conduct failure analysis, and make use of modern advanced technologies. Graduates can work in different IT companies as software and hardware developers, support specialists, or specialists of automation, digitalization, IoT, and cloud system. Furthermore, they can become expert ITC consultants or project managers, or continue in the 2nd cycle (master’s degree) studies.